There is no more comfortable way to see all the most important sites of Rome when walking is a problem. Rome's Old Town is one of the most livible and walkable urban areas in Europe. 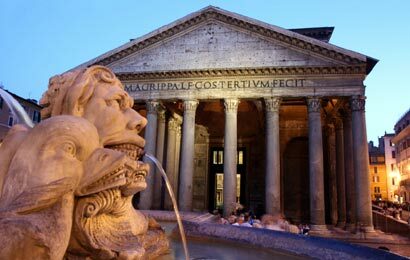 Squares, fountains, artisan shops, narrow streets with restaurants, cafes and ice cream parlours give Rome uncomparable character. Visit all major piazzas and fountains in a two hour golf cart tour. Stop on the way at churches and fountains, discover the best coffe and the best ice cream in town, visit the craftsmen at work and learn your way around to return later for private in depth exploration. The golf cart tour is also idal for people with walking difficulties and families with young children who find riding a cart an extra fun. Each cart takes four passengers including a tour guide who is your driver. For bigger parties Vatican Tours offers an extra driver.